Stillwater runs deep, with its menu of American-style seafood. 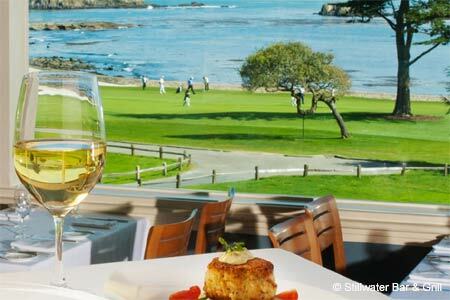 : After a day of golf at Pebble Beach, stop into Stillwater and relive each hole while gazing out the picture window --- or listen to others doing the same. Seafood is prepared with flair, featuring sustainable and organic choices. Cedar-plank roasted salmon comes with smoky bacon buttercream; have it with the fried calamari. Other tony entrées include a tuna crudo with truffle oil, and ancho-glazed mahi mahi with plantains and chipotle syrup. The house Bloody Mary alone is worth the visit.